Find homes for sale in Dawson County, Nebraska and search Dawson County, NE real estate and houses. 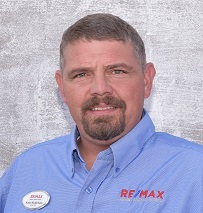 Browse condos, townhomes & rentals with RE/MAX Nebraska. Rehabing a classic building? If you can expose and seal the interior brick it can add a neat look. Hail to the Roof! Have You Had Yours Checked? Visiting with an insurance friend of mine the other day he mentioned to me that an incredible amount of hail damage had been done to homes in central Nebraska this summer. I didn't think much of it at the time but in other conversations I started to realize that many folks have not even had their properties checked for damage. In our rushed existence we sometimes forget about the things that are not obvious to us. So here is a friendly reminder that if you are in the Dawson or Custer County area you might just have your friendly neighborhood insurance adjuster come check out your property, just to be on the safe side. You have no idea what kind of stress you can experience if you decide to sell and there is damage to your property. It can hold up or even blow up your potential sale. It is easier to have the claim processed and the work done now. Just so you know it is not election season again; those yard signs are representing roofers from near and far and they are busy making everything right again. If you are looking for who to use, speak to your insurance and real estate pros, they usually have their pulse on the best games in town.